Sigvaris is a medical compression company and have been in the compress business for more than 60 years. Sigvaris thought that they could bring their medical knowledge to help create truly superior sports products. Sigvaris socks and sleeves feature True Graduated Compression. This means that they are tightest at the ankle and less and less compression going up the leg. This design helps move the blood up to your calf, so you calf can do it's job of pumping the blood to your heart. When you do this new blood can circulate back down with oxygen and nutrients to muscles that are being deprived during a workout. Some sports products that have "compression" are just a tight tube and this can trap blood regular than helping to circulate it. 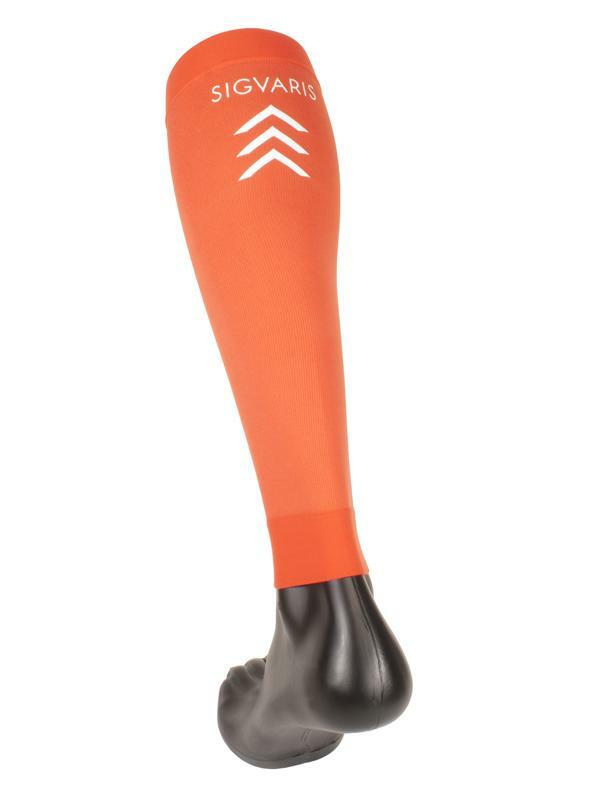 The Sigvaris Performance Sleeve features 20-30mmHg of “true graduated compression” – compression that has 100 percent of the stated compression at the ankle and gradually diminishes as it goes up the leg. This construction helps fight the force of gravity and circulates blood back to the heart and lungs more efficiently, thus helping to improve athletic performance. Fit: Sigvaris measures both the ankle and the calf unlike other compression companies for the exact graduate compression fit. The Sigvaris sleeve feature a nice thin sleeve that screams performance. The fit is expected, snug and firm. Its almost you can feel the graduated compression. The fit feels trusty and secure. During my runs I do not have to worry that this sleeve will slip down. Other compression brand tends to be to warm, but that is not the case with Sigvaris. Compression: As mentioned above the sleeve features 20-30mmHg of “true graduated compression" I might be a marketing dream and believe that 60 years in the compression business make a difference, but with Sigvaris you can really feel the compression benefits. The fit around my ankle is secure and fit and you can feel the graduate compression thru the whole sleeve to the top of you calves. Over all: I'm glad that Sigvaris decided to target the sports market because their knowledge and technology really shines on these sleeves. As with all the socks and sleeves I have tested, its really after a couple of rounds in the washer you can tell if its a great product. Sigvaris sleeves passed all the test with an A+. You will get a nice graduated compression product that scream fast performance at the same time as it keeps you secure and its not to warm. The Sigvaris sleeves come in seven different colors. SIGVARIS is the global leader in graduated compression therapy and has been making medical compression products for more than 50 years. Based on this experience, the company knew it could make superior sports compression products. SIGVARIS Sports products all feature graduated compression, which means the compression is tightest at the ankle and gradually diminishes up the leg. 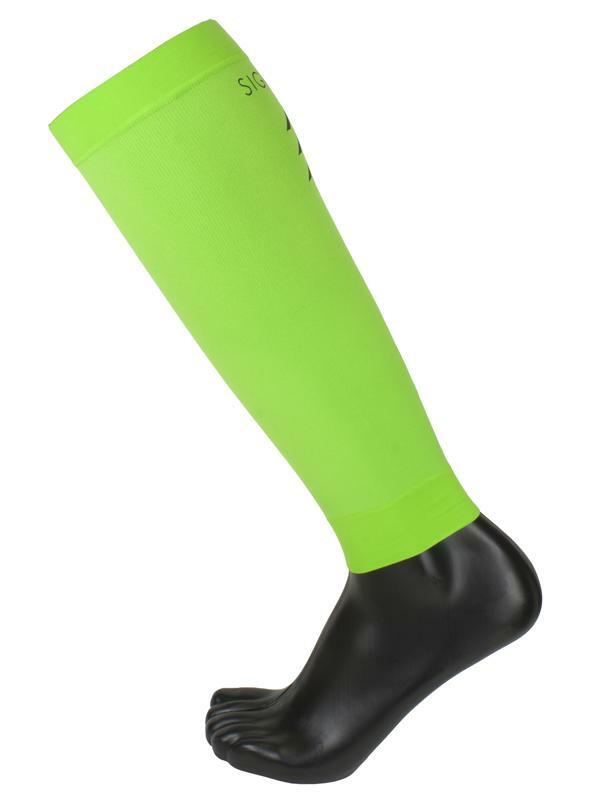 The compression socks act as a layer of muscle, gently squeezing stretched vein walls. This built-in feature helps fight the force of gravity and circulate blood back to the heart more efficiently. When blood is properly circulated, it restores much-needed oxygen and nutrients to tired muscles that have been deprived during a workout. SIGVARIS Sports products help muscles regenerate more efficiently and help to remove any lactic acid that has built up. When shopping for athletic compression socks, keep in mind that many brands don’t actually offer the benefits of true graduated compression. With SIGVARIS Sports, you are getting a product created by a medical company with expertise in graduated compression. SIGVARIS Sports has three products in the Sports Line: a Performance Sock, a Performance Sleeve and the Athletic Recovery Socks.